We all need some energy boost at some point of the day. Coffee is my fuel, but I also needed something with more sustenance. These energy bites just do that for me ! 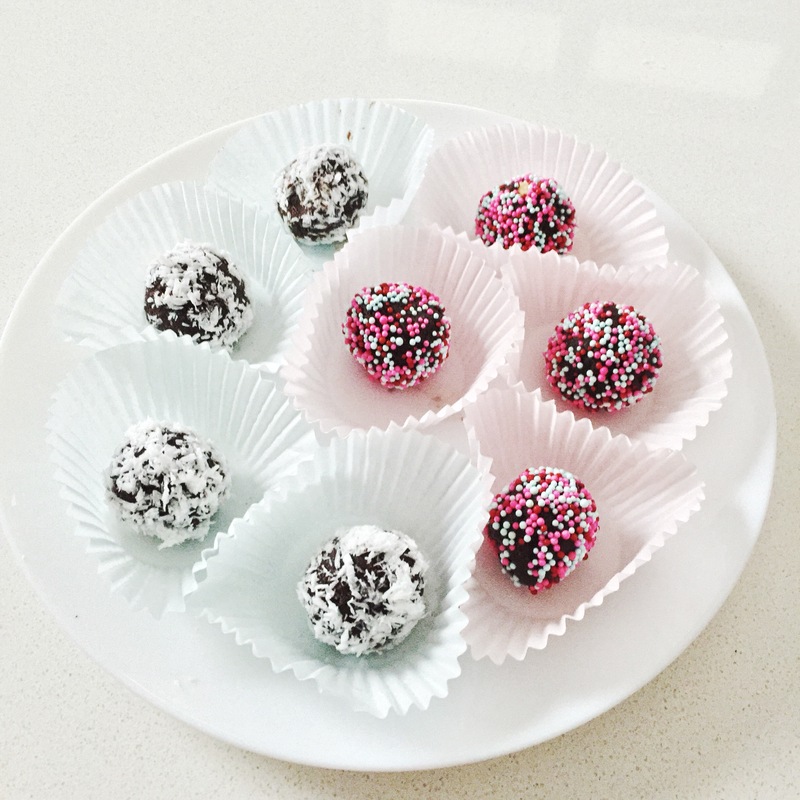 These balls are loaded with nutrients and can make a great post workout snack or To-Go energy booster and is super quick and easy. 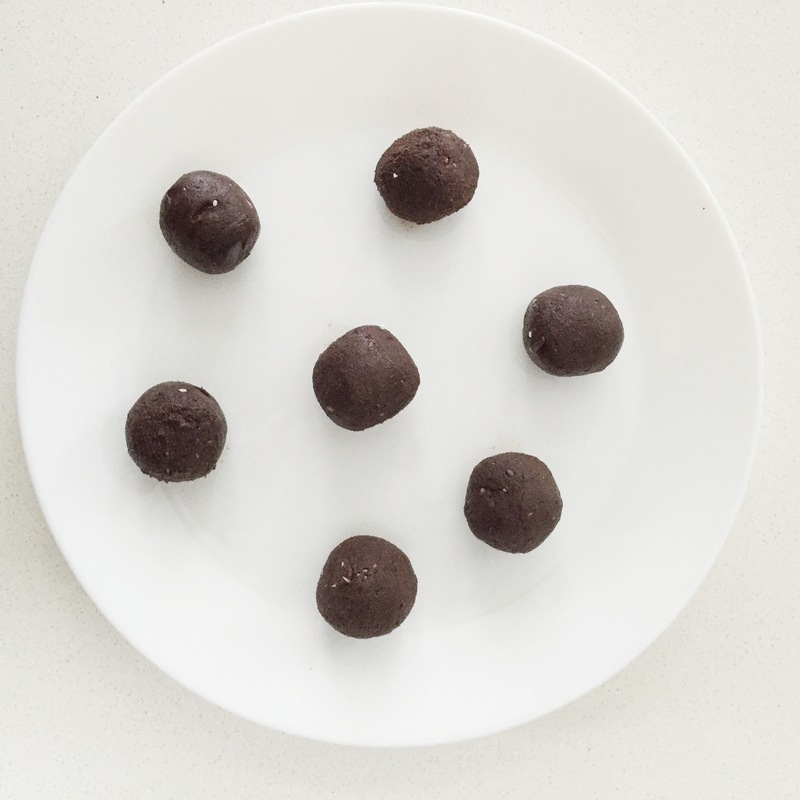 It took me only 10 minutes to make these naturally sweetened balls with a boost of protein and nutrient dense Shakeology powder . 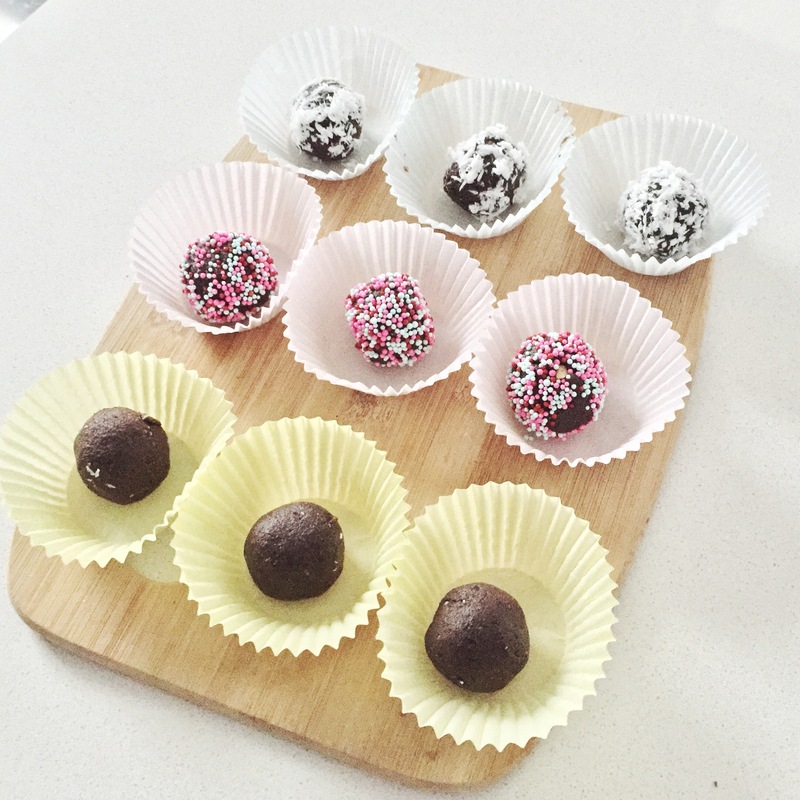 This no bake energy bites is made with healthier ingredients, and taste like no bake brownies or cookie batter ! 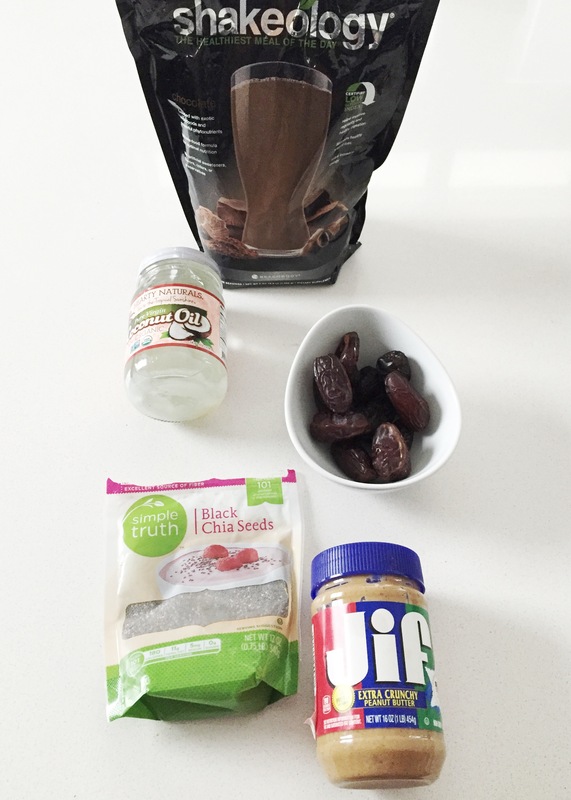 Race, Hikes, Road trip , Travel… This is the snack you need! Say Hello to healthy snacking and get on board! 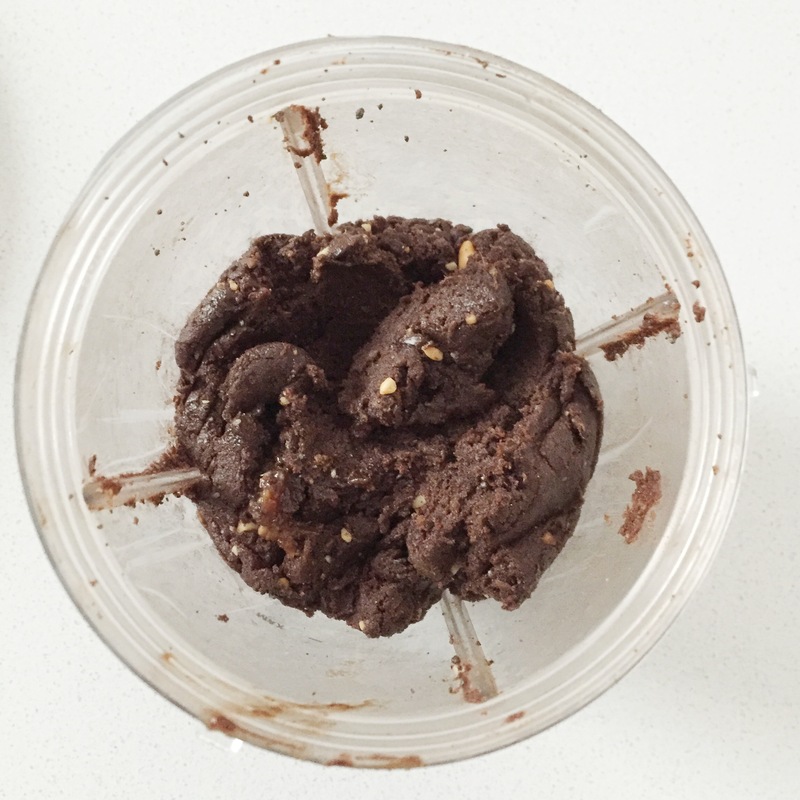 Tip: You can also use 1/2 cup chocolate chips if you use a non chocolate protein powder. Blend all the ingredients together. If this mixture is too hard and doesn’t blend, you can add milk or water. Make sure it is in the consistency of a dough. These days its called the hippie cookie dough. Roll the batter into portable bites on shredded coconut or sweet sprinkles coating to make them look fancy ! To set, leave in fridge 15 -20 minutes. Will keep fresh in an air-tight bag or container for up to a week if no milk is added . Freeze for longer term storage. They are tender, crunchy from peanut butter and chia seeds, wholesome and seriously delicious. You can also check out my Guilt Free Homemade Popsicles. Do leave your feedback and comments !! P.S I am inspired to eat healthy and make healthy meals daily by one my favorite Instagram Mom Ursula Walsh from MomfitneessDiary. Check her insta feed for easy to make healthy snacks and meals.